Why Do You Want to Homeschool? AUTHOR Rochelle Sutherland is getting ready to pack her books, frock up and head off to as many churches in the Anglican Diocese of Bathurst as she can manage. Ms Sutherland, who is preparing to publish her fourth novel, A Home for Moira, is using her latest literary offering to help support the work undertaken by the church within the diocese. A Home for Moira is an historical romance novel set in the Lake District in England during the Victorian era. As well as penning the piece, using her nom de plume of Caroline McCarthy, Ms Sutherland designed and created a period gown to be used in the design of the book’s cover. “I started attending [church] when I was in the womb and am a member of my local parish council and management committee,” she said. So in the next few months Ms Sutherland will don her creation and hit the road in the hope of raising upwards of $8000. Once she has covered costs, all money raised from the sale of the book will be donated to the church. The final itinerary for Ms Sutherland’s book signing and fundraising tour is yet to be finalised, but more details can be found on her website www.houseofhadrian.com.au. By DANNIELLE MAGUIRE, May 1, 2015, 6 a.m. 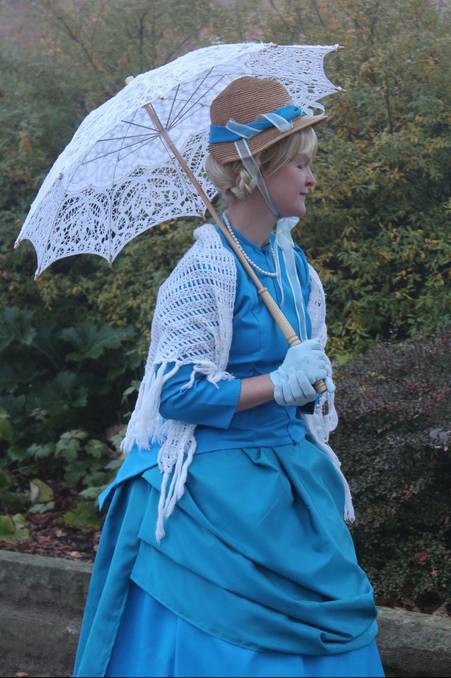 IF YOU see a woman dressed as if she’s come out of a Jane Austen novel on Monday morning, don’t be afraid. It isn’t a tear in the time-space continuum, merely author Rochelle Sutherland dressed the part. Sutherland, pictured right, will be in the city on Monday morning to give a talk about her latest release A Home for Moira. She warned residents that she may surprise them on Monday. “I’ll be staying at a hotel on Sunday night and I’ll be walking to where my talk is,” she said. Sutherland’s book is set in England in the Victorian era, so expect some elaborate clothing. 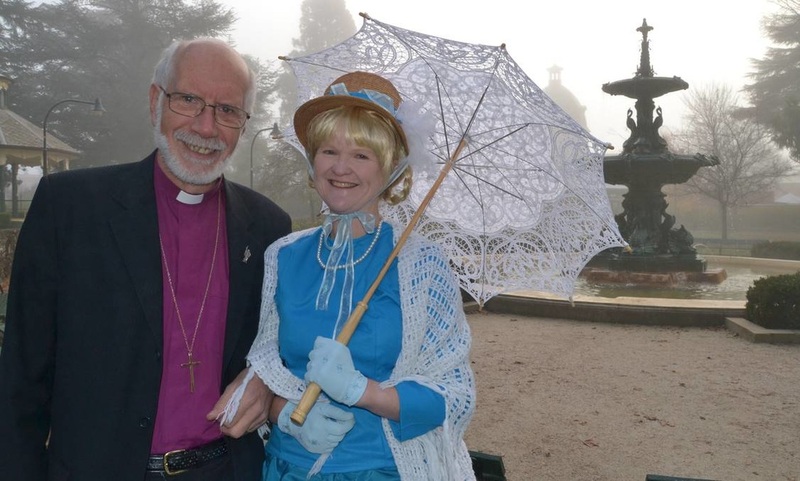 She said her visit will be more than a Victorian fashion show.